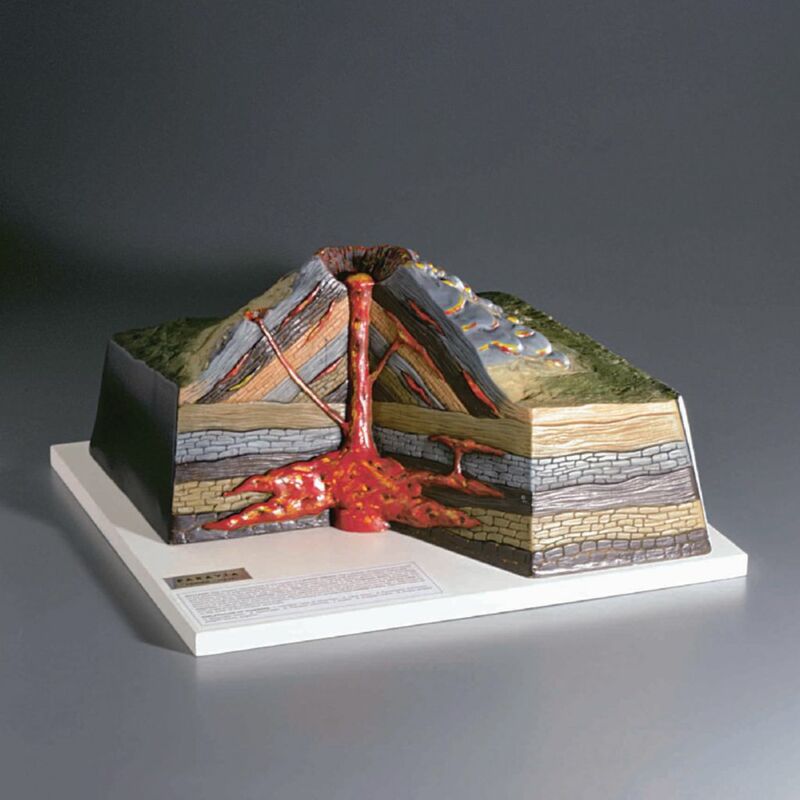 This realistic, hand-painted representation of a volcano demonstrates magma's upward path through the volcano. It has a vertical, cutaway section to show this flow to students. The model is securely mounted on a sturdy base and includes a labelled key.